France has produced a considerable number of talented and timeless artists, including one Alexandre Dumas. Dumas was a French-born writer of Haitian descent who did great service to the belletristic world of literature. He wore many literary hats, from playwright to novelist, and his works have had a global impact, with some of his novels having been translated into nearly 100 languages! But Dumas’ lasting impression on the world is not exclusively through the magic of his pen to the paper. His reach extends much farther than The Count of Monte Cristo and The Three Musketeers, and this presence can be seen all around Paris. First, a little background. 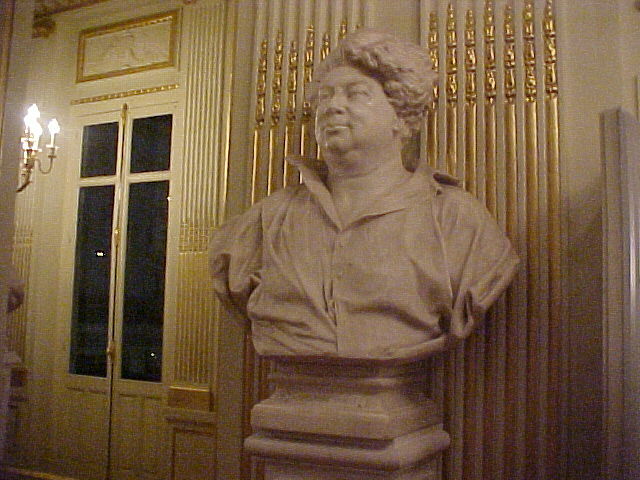 Alexandre Dumas was born in Picardy, France in 1802 as the youngest of three children to Marie-Louise Élisabeth Labouret and Thomas-Alexandre Dumas. Not much is known about his mother, but his father was mixed race and born in Haiti to a French nobleman and a Haitian slave. When Thomas-Alexandre was 14, his father sold him to a French lieutenant and that marked the beginning of his journey to France. Thomas-Alexandre went on to be the first man of color to become general-in-chief in the French Army. In his adulthood, he took his mother’s name “Dumas” and was known as General Dumas in the army, or at times less tenderly known as “Black Devil” by lower ranks who were resentful of his power considering his skin color. Choosing “Dumas” as the family name was an interesting choice considering the juxtaposition of his father’s status as a French nobleman and his mother’s status as a slave. Nonetheless, Thomas-Alexandre kept his mother’s name and passed it down to his son, and now that name carries pride and all of Alexandre's accomplishments with it. At the ripe age of 20, Alexandre packed his bags and moved to Paris. This is when and where he began his literary career. Just as much as the city left its mark on him, he returned the favor and left his mark on the city. 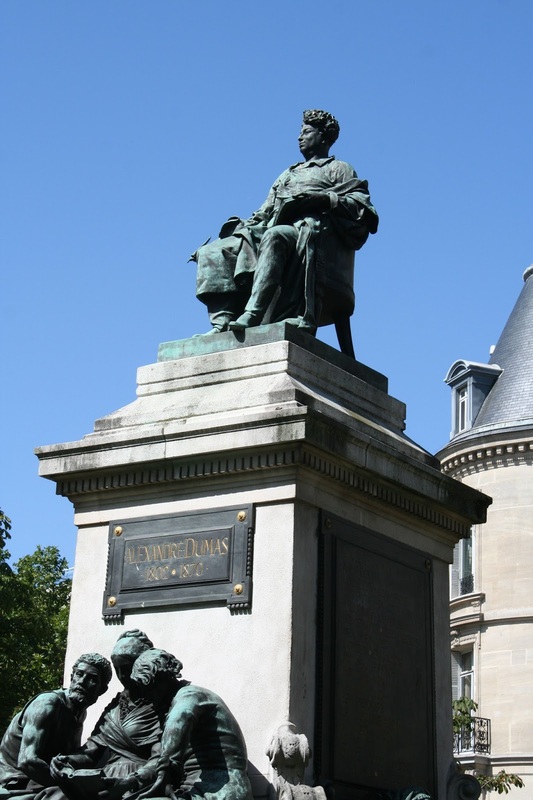 Probably one of the most evident parts of Dumas’ lasting impression is the metro station named after him on the border of the 11th and 20th arrondissements. The station was renamed to honor the writer on September 13th, 1970. 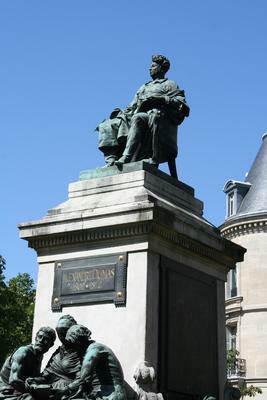 In addition, a bust of Dumas lies right outside of the metro station at the intersection of rue Alexandre Dumas (named for the author in 1875) and boulevard Voltaire. and place du Général Catroux in the 17th arrondissement. Until recently, a reproduction of Dumas' recipe for escargots à la bourgignonne was part of the decor of the dining room at Au Bourguignon du Marais, a restaurant in the 4th arrondissement. On what would have been Dumas’ 200th birthday, November 30th, 2002, former French president Jacques Chirac honored the great writer by holding a ceremony moving Dumas’ coffin to the Pantheon. The guards who transported it were even dressed as four musketeers! In the Pantheon, Dumas lays right next to two other amazing authors, Victor Hugo and Emile Zola. Cette année est aussi celle du bicentenaire de la naissance de Dumas. Il était le plus populaire des romantiques. Il reste à ce jour le plus lu des écrivains français dans le monde. Il était juste que notre pays lui manifeste sa reconnaissance. Voilà pourquoi j'ai décidé le transfert de ses cendres au Panthéon, où il retrouvera un ami. This year is the bicentennial of Dumas’ birth. He was one of the most popular romantics. Today, he remains one of the most read French writers in the world. It was only right that our country should show its gratitude. This is why I chose to transfer his ashes to the Pantheon, where he will reunite with a friend. Dumas’ legacy doesn’t end there. Right outside of Paris in the department of Yvelines lies a beautiful castle, Château de Monte-Cristo, where the author made his home for quite some time before he fled to Russia to evade creditors who were after him for his large sums of debt. This castle was turned into a museum and has operated as such since 1994. It is open to visitors Monday through Saturday and it also harbors various contemporary art exhibitions. 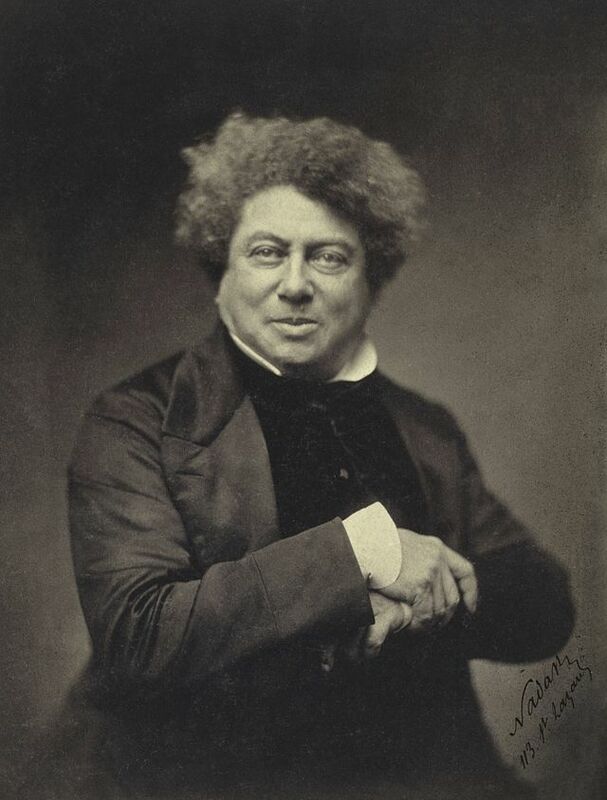 Alexandre Dumas served Paris well and he is never to be forgotten for all the pieces of literary art with which he provided this world.